Score this Shopkins Cutie Cars Splash 'N' GO Spa Wash for only $15.98 on Amazon, regularly $29.99. Features an elevator, spa wash, Deco station, dry station and scent station. 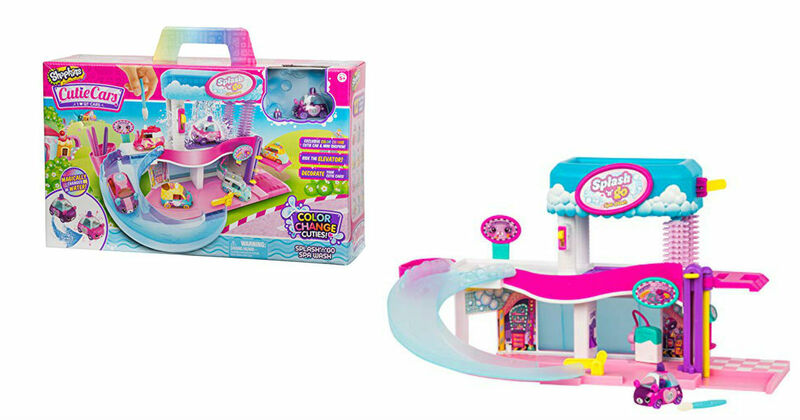 Playset includes 1 exclusive Color Change Cutie Car and 1 matching Mini Shopkin.